Alright I haven’t quite gotten rid of *all* my moisturizers, but I’ve come pretty dang close! I’ve been reading rave reviews of jojoba oil for months on end, but I only got my hands on some a couple weeks ago, and I’m kicking myself that I didn’t start using it earlier! 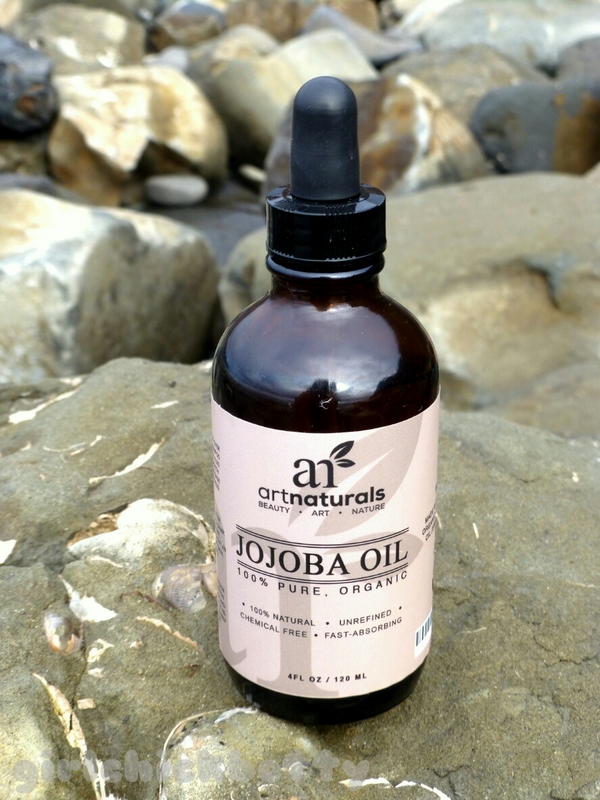 I’m part of an email list called Elite Deal Club, and I was able to snag some jojoba oil sold by Art Naturals. I’ve been using it nightly in place of the usual plethora of moisturizers, and I think it’s actually helping clear up my skin along with being super moisturizing. It soaks into my skin fast, doesn’t feel gross or oily, and it doesn’t have a strong scent like argan oil. I’m loving it as a cuticle oil as well; it’s great for damage control of a lengthy acetone soaked glitter removal session. This is 100% pure unrefined jojoba oil; here’s the amazon link. It’s going for about 11 dollars for 4oz, and since I only use a couple drops each night, the bottle is going to last me months. If you haven’t tried it yet, or if you’re iffy on using oils instead of lotion, give it a try! Previous story Swatch Sunday: Ulta Oh!